Synopsis- …Suddenly, he saw something shiny at the bottom of the abyss. He squinted his eyes to see what it was. He ran back to his binoculars and turned them to see what it was. Sharp barbed wires that separated the two mountains came into focus. He had come as far as he could in his country. But she was standing in another country. 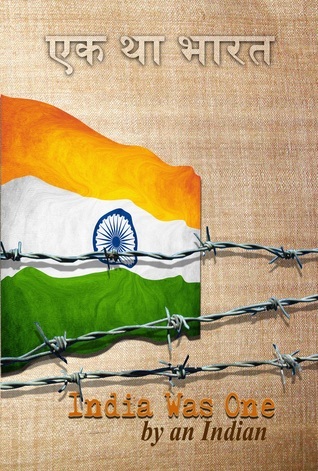 Review: India Was One is an indie fiction novel about an Indian couple, Kaahi and Jai who fall in love and immigrate to the US before returning to India when the North and South are divided. Although the premise for India was One was very intriguing and the initial chapter really drew me in, I was disappointed by the execution of the story. I think it would have benefited from editing out some of the unnecessary information that seemed to bog the story down. Typically, I enjoy learning about different cultures, customs and traditions through great story-telling, especially in memoirs- which are the genre of choice when I feel like a cultural experience. So, I was pleasantly surprised by the author’s knowledge of India and its similarities and differences to the Western World, however at times it felt like an overload of information and it strayed from the flow of the storyline. This happened throughout the story and there were times I forgot that I was reading a fictional novel and instead I was being taught about the rules of cricket or the road rules in the U.S. I felt this story could have been much better flowing and more enjoyable had the author stuck to the storyline in the synopsis. I really loved the final 30% of the book when the conflict in the story was heightened and it felt like there was some direction- it’s a shame that this couldn’t have been introduced a lot sooner and gone into more depth. Further polishing of the plot, storyline and writing style would be beneficial to the impact of this story. The strength of this story is the characters, who are very likeable. I enjoyed observing cultural experiences through their eyes. It’s difficult to make a recommendation for this book, but I think it would be best suited to people who like to read about travel, culture and race. In particular, if you would like to learn more about India then this book could be a start. India Was One would be the ideal introduction to the US for Indian’s planning to move to a Westernised country.